Are you seeking a firm to help with affordable window replacement? Downer’s Grove, IL homeowners turn to the professionals at Best Windows. We’ve been serving the Chicago metro region for over 15 years. We offer a range of services in addition to replacement window sales and installation, such as siding, roofing, patios, decks and remodeling too. If you’re installing new windows, you’ll need to choose a style that matches your home’s style and your lifestyle. So what should you consider when shopping for replacement windows? Appearance is one consideration. While you may enjoy a particular style of window, it may not be the best fit for your home. So it’s important to pick a window model that goes well with your home’s style. Owners of historic homes in particular often face challenges when picking out replacement windows. 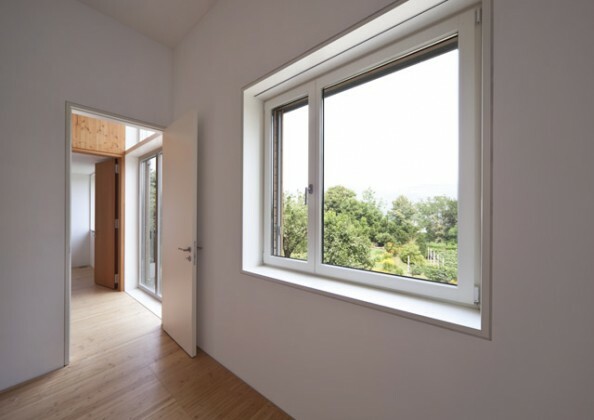 Wood window frames are a nice choice; many models also feature a blend of wood and metal, fiberglass or vinyl to improve efficiency, durability and insulation. The ease of cleaning is another point to consider. The manner in which the window opens is a main feature to consider in this regard. Many windows tilt in to allow for cleaning of both the interior and exterior surfaces, so there’s no need to worry about balancing precariously on a ladder in order to clean your windows. Safety should also be considered. Some windows open, while others do not. Double hung windows, which slide up and down, can be easier to control, whereas a child can more easily push open a casement window that tilts or cranks out. So you’ll want to think about how the windows will accommodate your family. Price is obviously an important factor when shopping for replacement windows. Downer’s Grove, IL residents should consider more than just the replacement window cost; there’s also the energy savings that you’ll enjoy on heating and cooling. You could save ten percent or more on heating and cooling expenses, so that’s a major point to take under consideration as you’re determining pricing and evaluating various benefits. If you’re looking for the most affordable replacement windows, Downer’s Grove, IL residents trust the experts at Best Windows, as we vow to beat any competitor’s price by ten percent or more! Our windows also come with a lifetime guarantee, and you’ll also enjoy a significant savings on your home heating and cooling expenses! In addition, you may be eligible to receive benefits from a federal incentive program, designed to reward property owners who opt to install Energy Star windows. Contact the friendly professionals at Best Windows today for a no stress, no pressure price quote! Call Best Windows at 708-204-2446. Visit https://bestwindows.net/ for more information about window replacement Downers Grove IL.